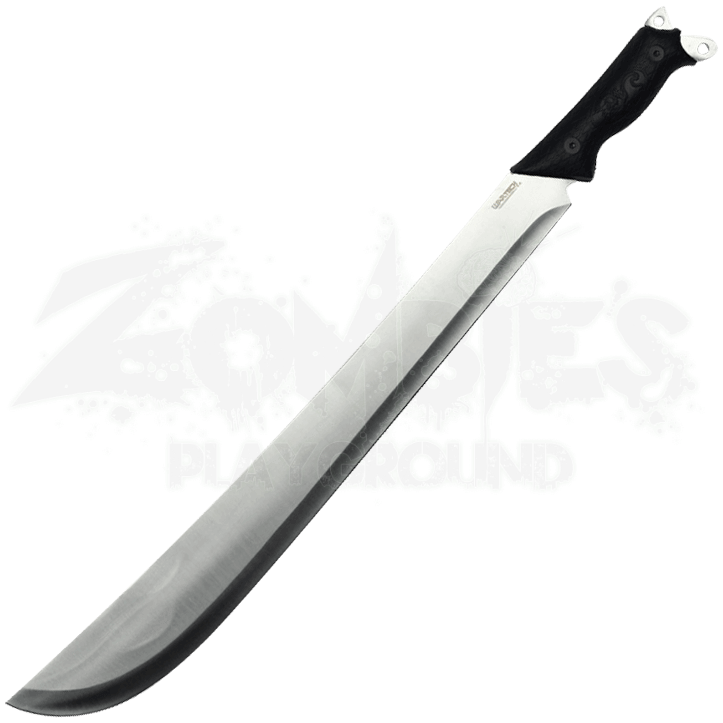 The Heavy Duty Bush Machete ensures the survivalist is ready for all situations. From combat to everyday utility tasks, its Latin style blade serves you well. Gear up for your next outdoor adventure with this useful survival tool. 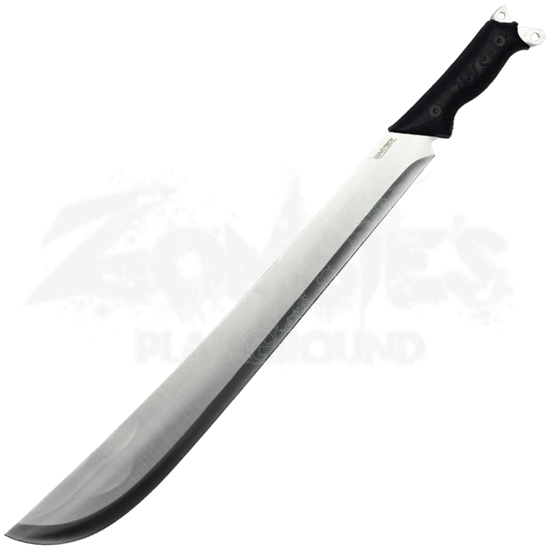 Crafted from stainless steel, this all-purpose machete offers both durability and strength. Textured black ABS plastic covers the grip of the full tang blade. Two lanyard holes appear at the pointed tips of the tang. The included black nylon sheath makes it easy to store and carry the Heavy Duty Bush Machete.